That is great news…the fact that the cost of Invisalign® treatment is quite often comparable to the cost of regular braces. Of course, Dr. Walton will fully explain your treatment fee, which is determined by a thorough diagnosis of your case. 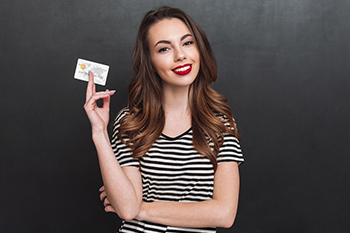 Factors which could have an effect on your actual fee can include case complexity, total treatment time, as well as your orthodontic insurance policy. Your own geographic area can also influence the cost of your Invisalign treatment. Invisalign treatment cost within the U.S. ranges from $3500 to $8000, with the nationwide average at approximately $5,000. For uncomplicated cases (up to five sets of aligners), Invisalign tooth straightening system can cost as little as $2000. Dr. Walton will determine which treatment options are right for you. Most orthodontic insurance plans will cover Invisalign treatment just as they do other orthodontic treatment methods such as regular braces. Speak to your insurance provider or have Dr. Walton’s friendly staff assist you in verifying the exact coverage you are eligible for. As much as $3500 may be covered by your insurance plan. About one-fourth of our Invisalign patients get insurance plan compensation for their treatment. FSAs are offered by many companies to their employees. An FSA enables you to set-aside up to $2500 of your pre-tax payroll dollars to help pay for your Invisalign treatment. Since Invisalign falls under orthodontic treatment, these costs can qualify for FSA reimbursement. If your company offers an FSA and you know you’d like to use it to pay for Invisalign, plan ahead and consult your benefits department. If your insurance policy isn’t going to cover your complete treatment fees, or if costs are an issue for you, please ask about our no-interest payment plans – we can offer flexible and cost-effective monthly payment plans. About one-third of Invisalign patients make use of our financing options to extend their cost of treatment over time. You will hear the following phrase on this site several times, “Invisalign is a TECHNIQUE, not a PRODUCT.” This means that even though a provider is licensed, certified, elite, super, premier, or whatever, you will not be guaranteed a certain result or skill level. Invisalign is a very difficult technique to master, even for an orthodontist with several years of tooth-moving experience, let alone for a general dentist without a single hour of specialty orthodontic training in dental school. A provider who routinely has to utilize more than one series of aligners for mid-course correction (aka “case refinement”) to complete treatment is an indication of poor treatment planning skills. This will add to your overall cost because the provider “factors” in their own inefficiencies to the overall treatment cost. In other words, you will be paying for their inefficiency. In over 90% of his patients, Dr. Walton has no need for case refinement in his Invisalign treatment. Simply put: he gets your treatment right the first time. The take-away point is that it is difficult to compare cost because each office/provider will produce a different result for you. Invisalign aligners are meant to be worn 22 hours/day. Any deviation from this schedule will cause compromises in your overall result, which will not necessarily manifest itself until later on in your treatment. Invisalign treatment is definitely a lifestyle change that you must be willing to undertake. Invisalign’s biggest advantage is also it’s biggest disadvantage…it is removable. If your result is not acceptable due to non-compliance, many providers will charge an extra fee for multiple refinement aligners, or in some cases they may recommend switching over to traditional braces to finish up.